Yield Strength: 700 Mpa Max. Micro Hardness: 60 HRC Max. Tensile Strength: 1250 Mpa Max. 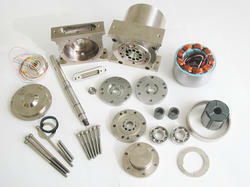 Wide Range of Accessories:- We are involved in providing wide range of accessories which are used in automobiles. We make use of best quality products which make our products outstanding and durable. Our offering possess excellent quality which distinguish us from rest of the products. This is use for Brake cable and Material used in SS. We are dealing in wide range of Automobile Adjuster. Our Jeep & Peugeot Gears are superior in quality and thereby deliver qualitative performance. Our products are custom made which easily meet with all the demands of the clients. L-5 Handle T is suitable for the new E-vehicle segment. 8 kg in weight, available in cast iron. 100% HYDRAULIC and heavy durability. 100% Quality Assurance. Post-dated cheques accepted for big orders. Replacement ensured in case of damage/defects. Great customer care and benefits for long-term buyers. Contact us now! Our range of Cooling Line 407 is fabricated using quality raw material, sourced from the trustworthy suppliers of the market. This product is designed in accordance to the international quality standards and finds application in various automobile industries. Further, this product is highly acclaimed by our clients for its exquisite finish and matchless quality. 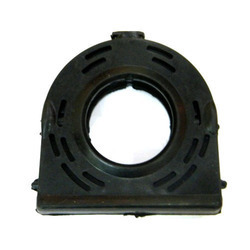 We are the leading supplier and trader of Mahindra Maxximo Spare Parts. Regardless of the challenges which we face during the manufacture of these products, we have been able to offer with a robust series of Petrol Taps.